Combine great wine and good food on a corporate incentive Grape Escapes trip, and thank your highest performing employees for their hard work! To see exactly how a Grape Escapes corporate incentive trip would pan out from start to finish, have a look at our sample itinerary for an Incentive trip to Rioja. Here at Grape Escapes, our expertise lies in organising unforgettable corporate incentive trips. We will take care of the smooth-running of the entire trip including your travel, your accommodation and most importantly, your memorable wine tasting itinerary! All of our corporate incentive itineraries are completely bespoke and tailored entirely to your requirements, however we have listed below some of our favourite unusual corporate incentive trip activities, depending on your budget. a tremendously fun and festive activity and not only is it a fantastic photo opportunity, you will also have acquired a new party trick to entertain your friends and family at home with! You can see Sabrage in action on our You Tube channel. 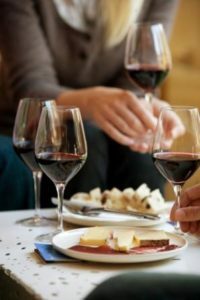 Bordeaux Wine and Cheese Workshop: This mouth-watering and insightful activity takes place at a Grand Cru Classé Château in Bordeaux. Following a private guided tour of the breathtaking estate and cellars, you will taste three of the Château’s wines, perfectly paired with a selection of local cheeses. Take Part in the traditional Spanish tapas run in Rioja: Spend the evening taking part in the traditional tapas run in the Calle Laurel in the quaint Spanish town of Logroño. As the Guardian’s Food and Drink journalist Norman Miller reported, “Almost 50 tapas bars are crammed into a single block about the size of four tennis courts.” To avoid competition, each bar specialises in just two or three dishes, therefore you will have the opportunity to sample a whole host of colourful creations as you work your way along the street. 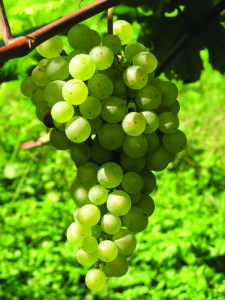 Your Grape Escapes Tour Manager will of course be on-hand to steer you towards the best bars. Aerial Ropes Course in the Champagne Countryside: For this fun-filled treetop activity, you will be taken to a unique tasting destination- located at the top of the treetops in the Verzy forest. Here, you will admire the Champagne countryside with a flute of premium Champagne from the very highest point in the Marne Valley. However, to get here, you will need to complete a circuit of an aerial ropes course! For the braver group members, you may wish to embark on a Tyrolean circuit which allows you to descend the hillside on a zip line. Provençal Picnic in the Vineyards: Following a full tour of the estate of a premium Provence wine-maker, an extensive tasting session will ensue. A gourmet picnic lunch will have been prepared for you here, and this can be enjoyed in a picturesque spot in the Château’s grounds. Traditional Tuscan Cookery Class: A local Chef will take you to the market to select products and will then take you to a great cooking location to teach you about Italian cuisine. You will then taste the fruits of your labour together over a convivial lunch. Fiat 500 Tuscan “Booze Cruise”: The Fiat 500 is an emblematic symbol of Italian culture, and therefore what better way to explore the breathtaking Tuscan vineyards? The morning will be spent driving through the beautiful Chianti countryside as part of a guided convoy of iconic Fiat 500 cars, stopping at panoramic view points before heading to an award-winning producer of Chianti wines. Here, you will be taken on a full tour of the beautiful Renaissance villa and cellars and the visit will conclude with tastings of their wines and extra virgin olive oils. After a traditional light Italian lunch at the winery, you will be taken back to the city by mini-coach. 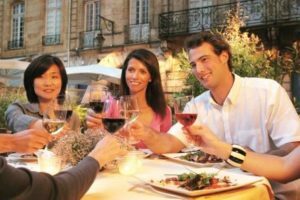 Sunset Barbecue in the Chianti Vineyards: Enjoy an enchanting evening in the Chianti vienyards, starting with a visit of an authentic Tuscan winery, followed by a wine tasting. You will then discover the farm’s historic chapel. A mouth-watering traditional Tuscan barbecue, accompanied by music will be waiting for you at the end of the tour. Sail to the Marseille Calanques: Enjoy a breathtaking cruise to view Marseille’s famous calanques. Often called the ‘fjords of the French Riviera’, these wild and beautiful limestone rock formations distinguish this stretch of Mediterranean shoreline. A wonderful seafood lunch with local wines will be served on board. 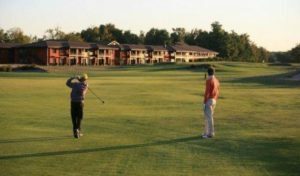 Golf Morning in the Médoc: In the heart of some of the most prestigious vineyards in Bordeaux, enjoy a round of golf on your choice of two competition level 18-hole courses. The 6,576 yard par 71 Château course was designed in 1989 by Bill Coore in the Scottish links style, while the 6,802 yard par 71 Vignes course was designed in 1991 by Rod Whitman. The grounds were voted the best courses in France in 2014 by the World Golf Award and they are currently ranked among the top 15 courses in continental Europe. They have hosted several competitions, including The Final Challenge Tour and the Novotel Perrier Open de France and international golfers, such as Sandy Lyle, Severiano Ballesteros and Ian Woosnam to name but three, have graced the green with their clubs. Combined, the courses comprise of 3.8 hectares of greens, all perfectly maintained throughout the year. Buggies, trollies, balls and clubs can all be rented from the resort and lessons can be organised in the modern coaching centre. VIP Spanish Cookery Experience in San Sebastián with one of the world’s top 10 gastronomy guides: Gabriela Ranelli, who is known as one of the top 10 gastronomy guides in the world will accompany you throughout the day on a once-in-a-lifetime VIP foodie tour. 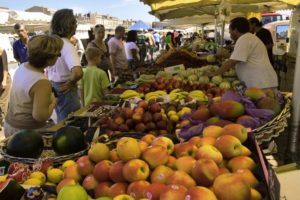 She will firstly take you on an extensive tour of the city’s markets and specialist gastronomy shops to purchase fresh produce for lunch. The Basque country is famous for its ultra-exclusive private gastronomy clubs, and the afternoon will be spent with Gabriela at her own club, where she will lead a hands-on cookery demonstration. The tapas in San Sebastián are considered true art forms, and Gabriela will teach you some of her favourite creations. You will then taste your creations alongside a selection of local wines over an entertaining lunch at the club. 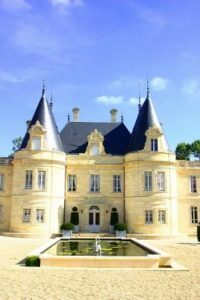 Gala dinner as the guests of a top Bordeaux Château: You will be warmly welcomed at a prestigious Château in the Bordeaux vineyards for a full tour of the majestic estate and cellars, and a decadent four course dinner will be served in the Château’s opulent dining room. Each course will be perfectly paired with one of the Château’s Grand Cru Classé wines. Ferrari Race in Florence: You will be taken to a private venue on the outskirts of the city for a morning spent racing Ferraris. This thrilling activity will offer a real competitive aspect to the trip, in the form of a circuit with skittles and start/finish posts. 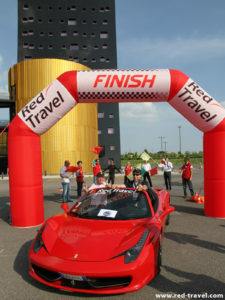 The VIP Ferrari “Time Speed Distance“ competition depends on the abilities of the driver, rather than depending on the speed that the vehicle can achieve (for example, a circuit has to be done in 20 exact seconds. If is completed in 19 or 21 seconds, there is a 1 second penalty). Along the circuit, speed traps are positioned to determine actual speed and the pilot’s ability is calculated through his capability in following the time instructions given before the race. Timekeepers record each run and present a rank at the end of the race in an awards ceremony. The Competition will also be assisted by a photographer for once-in-a-lifetime photo opportunities. Dine in the cellars of a world-famous Champagne House: The highlight of any luxurious Corporate Hospitality trip to Champagne would be a VIP visit at one of the region’s large, prestigious Champagne Houses, such as Moët and Chandon, Taittinger or Veuve Clicquot. As well as having a behind-the-scenes tour of the magnificent, impressive cellars, a gala dinner will be served, alongside a selection of Champagnes from the estate. Why not enjoy a spot on dancing after dinner with a DJ, or we can even arrange for you to be entertained throughout the meal by CanCan dancers, mime artists or a traditional French accordionist. Give us a call on +44 (0) 1920 46 86 66 or e-mail info@grapeescapes.net to start planning your corporate incentive wine tasting trip with our team of experts.